MS International 12 in. x 12 in. Ostrich Gray Tumbled Quartzite Mesh-Mounted Mosaic Tile is a great choice for a variety of residential and commercial projects, including the installation and renovation of bathrooms and kitchens. This mosaic is comprised of 1 in. x 1 in. pieces that are constructed from durable quartzitic slate and feature a metallic gray sheen that creates a stylish complement for your decor. You can buy this product in our internet market. We will be glad if you make the right choice. 10 square feet, 10 pieces per case. Case weight is 50 lb. 12 in. width x 12 in. 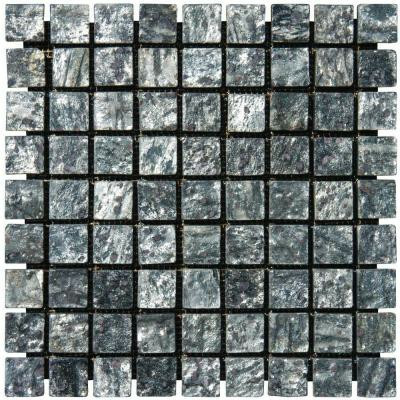 length x 10mm thick mesh-mounted mosaic. 1 in. W x 1 in. L brick pieces.